After ‘the rainiest months since records began’ summer has finally hit Britain, and it’s boiling (and just in time for the Olympics)! I went out for half an hour of my lunch break today to just sit in the sun, and it was lovely. 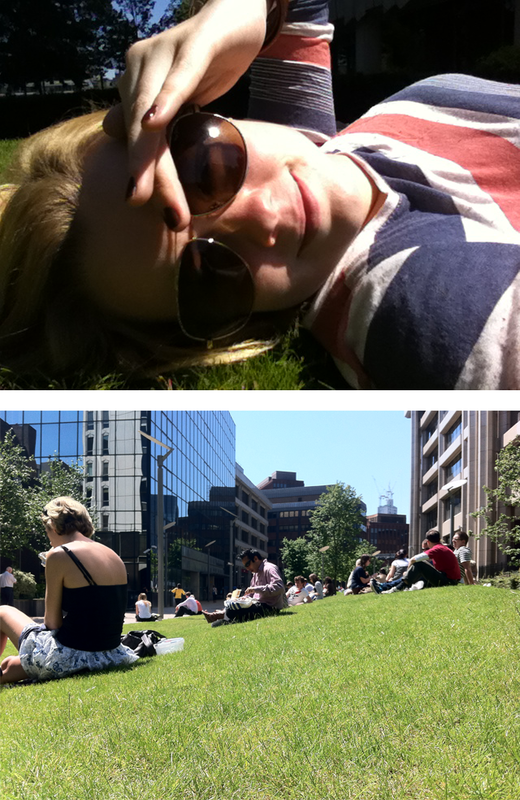 Loving all the other people sharing the small space of grass outside work!